Never mind Walmart and Amazon; today’s leading retail competitor might be Any Banner, Anywhere. Most shoppers will buy whatever they need when they need it, wherever they are, thanks to a proliferation of places to shop and products to buy. 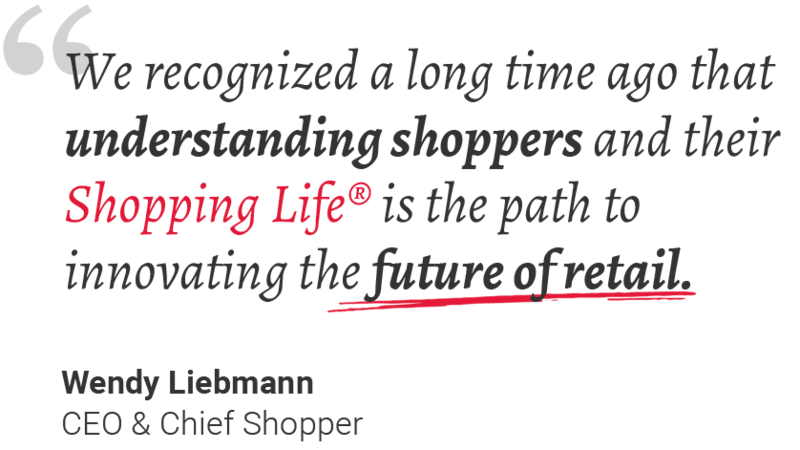 Here’s how retailers and manufacturers can recalibrate their strategies to capture today’s channel-agnostic shopper. There’s no longer anything special about specialty stores; department stores are losing their unique anchor brands. What once was the competitive retail landscape no longer exists because channels no longer matter. There’s only the continuum of competitive time and space. The sooner retailers and brands recognize this, the better their chances of mattering again to shoppers. Consider this figure alone: 80%. That’s the percentage of shoppers who told us they will buy whatever they need at the moment they see it, wherever they happen to be, according to our report, How America Shops® Future Shop 2019-2022. The result is a shopper force that is channel and retail agnostic, uncommitted to or cognizant of specific sectors or the chains within them, from dollar stores to department stores. Their loyalty isn’t won by the labels, products, even prices retailers offer, because these items are everywhere and shoppers can seamlessly switch channels and retail banners. Case in point: Target guests also frequent Walmart, and CVS shoppers regularly shop Walgreens. This channel and chain indifference is driven by two key events: brand commoditization, the result of national labels that are available everywhere; and the breadth of choice consumers now have, both in terms of places to shop and products to buy. This isn’t going to change unless retailers, and the manufacturers that supply them, find ways to distinguish themselves across various touchpoints both emotionally and physically – through their services, product mixes, accessibility, experience and other factors. Retailers can no longer afford to think that their competition is limited to other retailers who look like them. And manufacturers need to break free from channel-driven strategies. Who is your competition? The answer depends on where your customers are. More than 75% of women who identify as supermarket customers also shopped mass merchants in a three-month period; 80% shopped warehouse clubs, like Costco and Sam’s Club, as well as deep discount grocers, like Aldi and Lidl. More than 40% of women who buy in specialty beauty retailers also bought from department stores, while 39% purchased from warehouse clubs and 35% from drug stores. 66% of CVS shoppers (women and men) also buy at Walgreens, and 59% of Walgreens customers shop at CVS. Likewise, 88% of Target shoppers also purchase from Walmart, and 62% of Walmart shoppers go to Target. Consumers are less likely to distinguish one retail banner from its competitors within a sector and even across sectors. A department store competes with a drug store as much as it does a specialty beauty chain. The only way to stand apart is to differentiate. 2. Recognize income’s role in choice. High-income consumers shop differently than low- and middle-income shoppers in some ways (but not all). For example, they are more likely to try small and independent brands. Lower-income shoppers who cannot afford to make a mistake are often drawn more to highly recognized (i.e., trusted) national brands. Retailers should develop separate strategies that solve problems of different income groups – beyond the obvious and ubiquitous discount. 3. Stop focusing on age. Millennials, Gen X and Baby Boomer consumers shop across sectors with surprising consistency (about 30% of women in each group shops every channel, with the exception of Boomers in specialty retail, at 23%). Rather than getting hung up on age, merchants should focus on lifestyles and mindsets. Most importantly, retailers and brands would benefit from not defining themselves by channel or sector, and rather by the different value exchange they offer. Supermarkets are selling sweaters and online merchants are shipping fresh produce. As the lines that distinguish channels and retailers continue to disappear, so do shoppers’ commitments -- until you give then new reasons to believe.